The way the ball is positioned at address can vary in different ways. 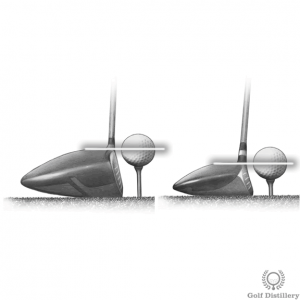 Indeed, it can be placed at various distances from the target (forward, center, or back); it can vary in relation to the distance from the golfer depending on the club in hand; and finally the ball position can also differ in how high it is removed from the ground when using a tee. The possibilities are explained below. For most ‘normal’ shots, the ball can safely be placed in the middle of your stance. This means that if you were to draw a line from the ball towards you, that line would cross in between your two feet, in the middle. There are instance where you would want to place the ball forward in your stance and others where you would want it placed back. 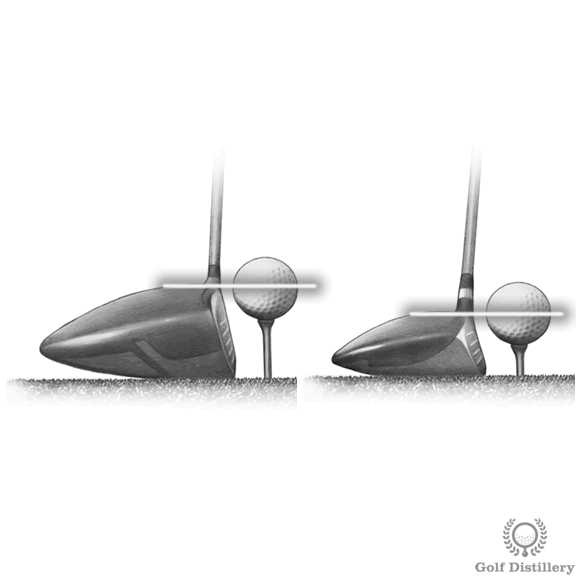 Shots hit with a driver are best executed when the ball is placed forward rather than back. On the other hand, punch shots that are meant to travel low underneath an obstacle such as a tree are best executed with a ball positioned back in the stance. 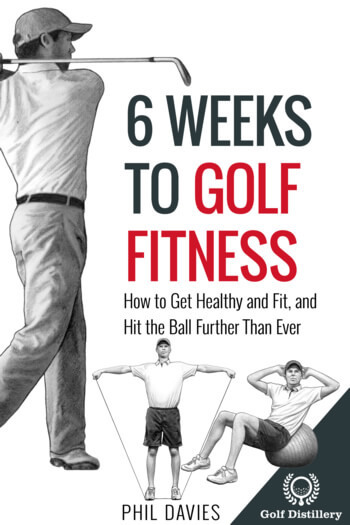 In addition to the shot and the objective being pursued, the position of the ball will also depend on the club in hand and how far the ball is located from your body will fluctuate accordingly. Naturally, longer clubs will require that you position yourself further away from the ball than you would when holding a shorter club in hand. There are two major trains of thought in the matter. 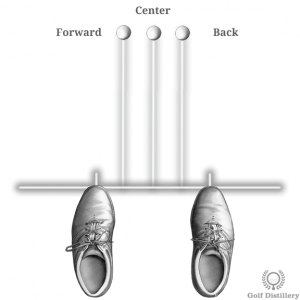 The first one states that you should place the ball forward in the stance always, irrespective of the club in hand. 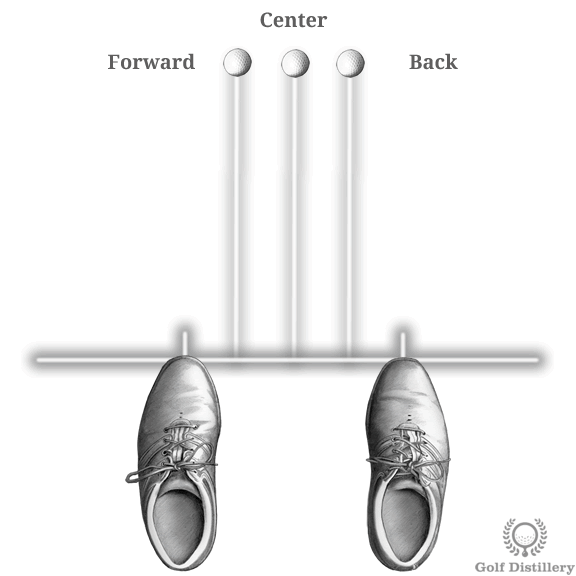 Proponents argue that it is easier to groove a swing and consistently strike the ball when it is always found on the same spot (relative to the target). 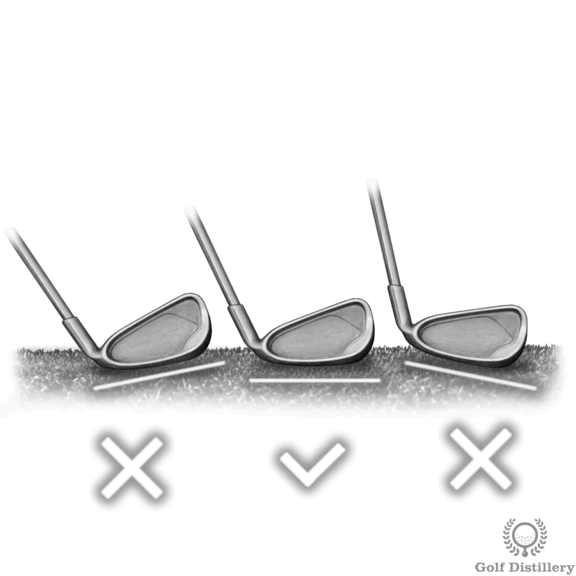 The other state that the ball should be moved incrementally from the forward position when using a driver to the center of the stance position when using a wedge. Proponents here argue that as the shaft of the club lengthens the ball should be placed progressively forward. 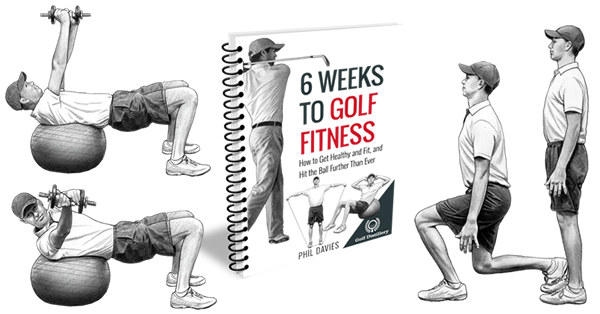 However you decide to position the ball in relation to your body or to the target line you need to make sure that when the club is positioned behind the ball that the sole of the club rests flatly on the ground. Whenever hitting from the teeing ground you are allowed to position the ball off the ground using a tee. The ideal height of that tee will be relative to the club in hand and to the shot that you are trying to produce. Indeed, whenever using a driver you will normally want the center of the ball to line up with the top part of the clubhead (also known as the crown). The same rule of thumb applies for fairway woods although it may be safer to push the tee further down than teeing up the ball higher. This comes from the fact that the face of fairway woods is not as tall as that of the driver and as such provides less forgiveness. Whenever using an iron off the tee, you will want to plant the tee deep into the ground so that the ball sits nicely on top of the grass, without touching it. This will provide you with the best possible lie. 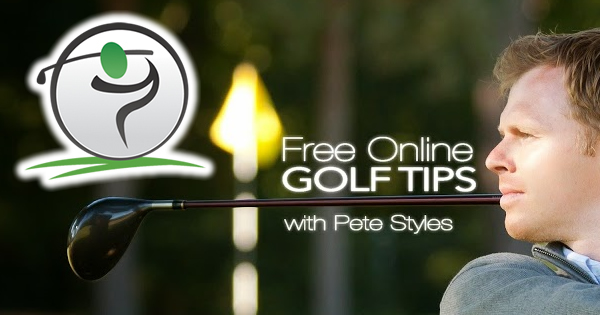 Finally, you will normally want to avoid hitting a wedge onto a ball that is placed on a tee. 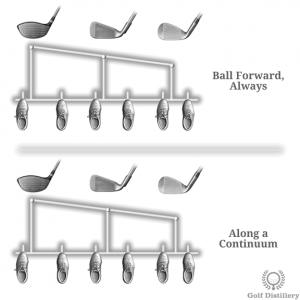 Indeed, because the loft angle of wedges is so high you would run the risk of seeing the club travel underneath the ball and missing hitting the ball squarely in the process.